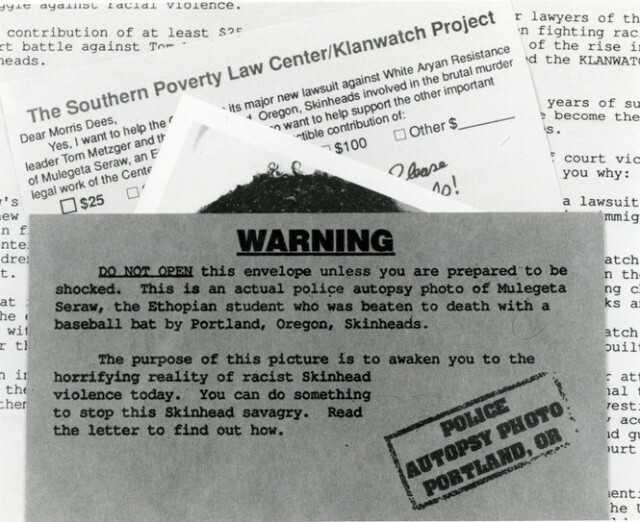 That was the question on many Portlanders’ lips on November 21, 1988, when three white supremacists were arrested in connection with the death of Mulugeta Seraw. Seraw, a 28-year-old Ethiopian immigrant who came to the US to attend college, was beaten with a baseball bat on the evening of the 12th, and died from his wounds the next day. The killers–Kyle Brewster, Ken Mieske, and Steve Strasser–were members of the neo-Nazi group East Side White Pride and affiliated with White Aryan Resistance (WAR). A May 3, 1989 New York Times article quoted Mieske saying he killed Seraw “because of his race,” while according to an Associated Press article from October 16, 1990, Tom Metzger, the founder of WAR, said Mieske “may have done a civic duty” in murdering Seraw. Mieske pleaded guilty to murder, while Brewster and Strasser pleaded guilty to first degree manslaughter and second degree assault. Mieske was given a life sentence and died in 2011. Brewster was sentenced to 20 years in prison with a minimum time served set at 10 years. He was paroled in 2002, but found himself back in prison in 2006 for violating his parole when he contacted the white supremacist group Volksfront. Strasser received a 20 year sentence with a minimum of 9 years served. 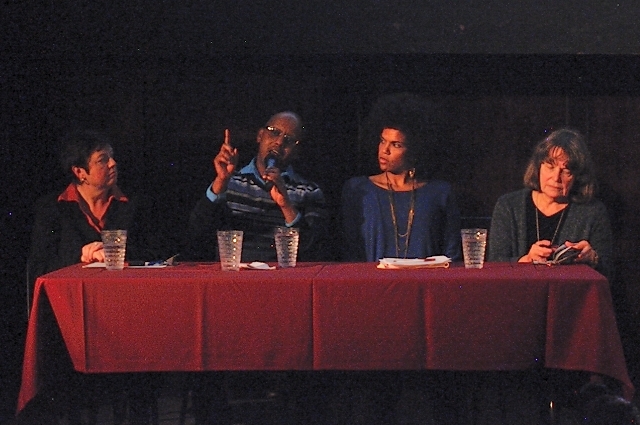 A forum was held at the Mission Theater on November 4 to commemorate the 25 years since Seraw was killed. Remembering Mulugeta Seraw: Portland’s Legacy of Racism and Combating White Supremacy featured speakers who talked about Seraw’s life, the history of racism in Oregon and the recent proliferation of white supremacist groups–as well as the steps necessary to combat them. Past sins can often be treated as oddities in the dominant narrative, and the collection of these anomalies, mounting over the years, may never coalesce into a true representation of history. They float through time and space, detached from each other. Thus when one mentions that the Ku Klux Klan had a presence in Oregon, people may respond well, of course, what locale did not have its small pockets of freaks and yahoos? Except that in the early 1900s, Oregon’s small pockets held the highest per capita Klan membership in the country, which nationwide claimed 15% of all white men. And this well represented band–with the help of quite a few others–elected Klansman Walter Pierce governor in 1922. What at first glance appears to be a fringe group was actually exerting a great deal of influence on–and in some cases controlling–the institutions that shape our lives today. Whether through the fracturing of the black community in Portland with the construction of the Rose Quarter, the later destruction of hundreds of homes to expand Legacy Emanuel (a project still incomplete 40 years on), the redlining of mortgages, or a police force that has a penchant for shooting and killing people of color, that founding ideology still casts a defining shadow. Where that shadow falls often delineates the junction of past and present. On the evening of May 12, 2010 it collided violently at NE 6th and Halsey when police pulled over 25-year-old Keaton Otis. Minutes later Otis was dead, murdered in a hail of 32 bullets, 23 of which found their mark. A day later, investigating detective Erik Kammerer asked Officer Ryan Foote why he found Otis suspicious enough to pull over. Foote replied that Otis looked like a gangster. In video footage of the shooting, Otis is first shot with a taser, and then, just before bullets fly, a cop says, “Let’s do it.” A reasonable observer might liken it to an execution. Otis’ murder did not occur in a vacuum. It is part of an ongoing Oregon narrative that began with the declaration of Black illegality at state inception and championed a Klansman to the highest elected office just 88 years ago. 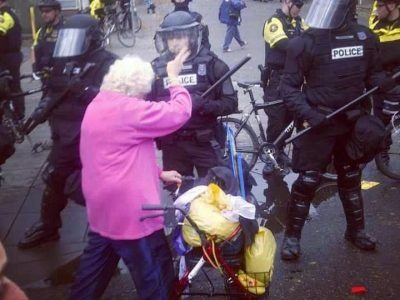 Today, Portland police routinely profile Black people. They are 2.5 times as likely to be stopped by the police as white people, and twice as likely to be stopped and frisked, despite being half as likely to be carrying weapons. “If you are Black, you are a criminal by being here,” Imarisha said. “I’m very glad we’re all here for one of the all too rare public discussions about racism,” Elinor Langer said, prior to reading from her book, A Hundred Little Hitlers. Langer reminded the audience that each racial murder is not only an attack on race, but also on an individual. Langer’s reading called forth the Mulugeta Seraw unknown to most Portlanders, who viewed him in terms of his death, not his life. Here was the young Mulugeta Seraw, growing up on a farm in Ethiopia as did so many of his ancestors and living relatives, “a life scarcely touched by the outside world.” According to his father and Uncle Engedaw, Mulugeta was “a beautiful, graceful and sensitive child, slow to anger, quick to learn,” who seemed destined to work the land as his fathers before him. When Mulugeta’s mother died soon after his 10th birthday, his appointed road took a turn. Engedaw, his mother’s brother, partially filled the void left by her death. But in 1973, Engedaw left Ethiopia for the US to continue the studies begun when he moved into the Seraw house in order to attend school. Revolution came to Ethiopia in 1974. King Haile Selassie was overthrown and within a few years a bloody civil war had engulfed the country. Between violence, exodus, and starvation, Ethiopia was falling apart. In 1980 Mulugeta followed Engedaw, now attending Portland State University and living in Beaverton. Mulugeta enrolled at Portland Community College and found work, first at a fast food restaurant, and then as a custodian at a Catholic elementary school. People who knew him described his qualities in terms similar to those used by his father and uncle. Engedaw moved to California one and a half years after Mulugeta’s arrival. Mulugeta remained in Portland, eventually trading school for full-time work so he could send more money back to his family. At the same time, as Ethiopians in Portland “became less a number of random refugees and more of a community,” Mulugeta also began to feel a sense of home here. Langer finished her reading with a passage describing the last day of Mulugeta Seraw’s life, one in which he “seems to have done nothing in particular.” We have no record of what Seraw did for most of his last living hours. “Perhaps he did his laundry or cleaned his apartment…Perhaps he went for a walk that morning, enjoying the November mud, the eternal green…Perhaps he wrote a letter to his family.” We do know that he watched a football game with a friend, and later went out for the evening. By some standards, he was having an All-American day. To Brewster, Mieske, and Strassburg, however, Seraw was a threat to all they saw as America. After three whacks from a baseball bat that fractured his skull in two places, Mieske left Seraw lying in a pool of blood. Early the next morning, Seraw was dead. Perhaps Seraw experienced the same feelings–living in the US, but having roots elsewhere–that Kayse Jama has. Jama, Executive Director of the Center for Intercultural Organizing (CIO), described it as a kind of split personality, in his case “a me in Somalia and a me here”. When growing up in Somalia, Jama’s understanding of the US came from Hollywood, and when he came here, he was taught the myth of the rugged individual: your condition was your fault, and racism and segregation were part of the past. 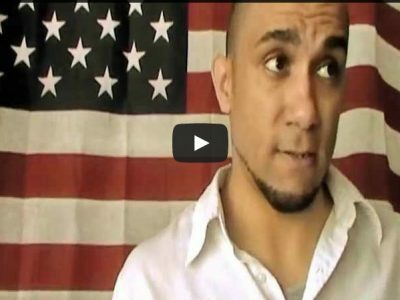 In Somalia, Jama said, he was taught to believe in his superiority, but when he came to the US, he found himself, as a black skinned Muslim refugee, at the bottom of the ladder. Jama’s celluloid America completely burned one night when he was held up at gunpoint while working at a convenience store. After the robbery, in which he was stabbed, Jama called the police. When they arrived, Jama called his boss. One of the policeman shouted, “Get that n***** off the phone!” In that moment, Jama found himself more afraid of the police than the armed robbers. Jama then presented some alarming statistics that reflect the results of institutional racism in Oregon, where the population is 21% people of color. While only 7% of white students drop out of high school, 80% of people of color do. Seventy-two percent of white people own houses versus 45% of people of color. Whites also make double the wages of people of color. And despite only making up 2% of Oregon’s population, Black people comprise 9% of the prison population. “I am still challenged that racist policies still exist, but when it [an act of racist violence] happens to an individual it is like everything has fallen off the earth,” Jama said. While not diminishing individual acts of racism, Jama said he found it more troubling that institutional racism exists right in front of us “yet life goes on like it does not matter.” Both forms, he said, must be confronted. For Jama, coming together to end institutional racism means building a strong solidarity movement. About two years ago a handful of organizations including the Asian Pacific American Network of Oregon, Causa, Oregon Action, the Oregon League of Portland, and Jama’s CIO joined forces and came up with a plan for fighting institutional racism. So far, the work is paying off. The coalition has seen the passage of all the legislation it supported, including drivers’ cards for people without documentation, an end to Section 8 housing discrimination, and in-state college tuition at public universities for all Oregon high school graduates regardless of documentation status. Since 2010, Weigel said Oregon has seen over 24 “media worthy actions from vandalism to murder related to white supremacist groups.” Weigel reminded the audience how tenuous the advances could be if people don’t keep organizing and fighting. For example, there have been a spate of anti-immigration laws, most notoriously Arizona’s SB-1040. In addition–particularly in states whose legislatures are under Republican control–there have been voting laws and gerrymandered districts that either disenfranchise people of color outright, or dilute the value of their votes. In 2014, Oregon will see a referendum, brought to you by Oregonians for Immigration Reform and Protect Oregon Driver Licenses, on the law that allows people without proper documentation to get a driver’s card. There also may be a Right to Work initiative on the ballot. Right to Work laws are largely used to target public sector workers, a sector that employs a higher percentage of people of color than the private sector and also offers workers of color (and women too) a better chance to achieve income parity with white males. Oregonians could also find themselves voting on the Castle Doctrine, which is basically the Stand Your Ground Law that gained so much infamy when George Zimmerman murdered Trayvon Martin. Imarisha told a story about being interrupted by two skinheads in southern Oregon a few weeks earlier during a Why Aren’t There More Black People In Oregon? presentation. The pair wanted to know why they could not celebrate being white. The person in charge of the space did not see the question as confrontational, nor did he ask the skinheads to leave. But for Imarisha, their very presence was confrontational, and she wondered aloud to the Mission Theater audience if a burning cross would have proven it. Imarisha also warned against watering down the message when talking with white people. Imarisha believes it is unacceptable to dilute the reality that lives are on the line, because it will lead to watered down solutions that do not solve the problem. She then reminded people that not everyone was against slavery in 1860, and in fact quite a bit of so-called middle America–perhaps the mid-19th century’s equivalent of today’s liberals–supported slavery reform, rather than abolition. Today’s white people who seek to reform rather than abolish white supremacy are but an updated version of longstanding white privilege at work. Randy Blazak, chair of the Oregon Coalition Against Hate Crimes, wondered if perhaps this drive to get rid of white supremacist groups was creating an “us versus them” attitude and ignored the possibility of reaching out to individuals in these institutions and reforming them from within. Jama replied that personal change is fine, but it is essential that we dismantle the institutions that cradle these individuals, as well as making them pay for the crimes they commit. Drawing further comparison between individual- and institutional-oriented solutions, Jama stated that the idea of white supremacists living in his backyard did not matter to him as much as making sure the community was safe from white supremacists. The same questioner also noted, in response to mention of the Portland Police Bureau’s poor and sometimes lethal interactions with communities of color, that while some police may be racists, it does not mean all police are racists. While no one had suggested that all police are racists, it is true that there are Portland police within the institution that have an aptitude for shooting and killing people of color, and the Bureau has an equally uncanny knack of not holding them accountable. 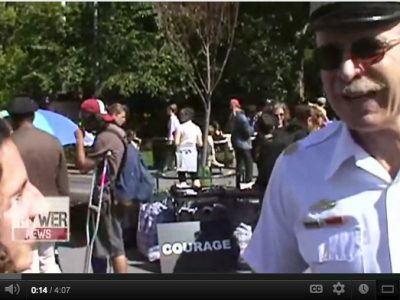 A relevant example is Mark Kruger, who–despite setting up a public shrine to five Nazi soldiers Rocky Butte Park–is still with the Portland police force, having been penalized just 80 hours without pay and being forced to take a training course in tolerance. “Institutions need to take responsibility and make sure people with a gun and a badge have nothing to do with these groups,” Jama said. In response to the police issue, Imarisha noted that history is replete with examples of police working with white supremacist groups, such as during the Civil Rights movement when, in some instances, the FBI aided and abetted the violence being perpetrated. In other cases, police have functioned as explicitly white supremacist organizations. Imarisha also discussed helping to organize various anti-globalization protests a few years ago and being shocked to find some people at meetings advocating the inclusion of white supremacist groups. The excuse given was that people needed to find “points of unity,” an example of the all too common phenomena of “white people compromising values for short term gains that benefit them.” Imarisha emphasized that those values cannot be compromised. Looking back on history, most people agree that certain forms of repression such as slavery obviously should have been abolished, and the idea of reforming that institution would strike most people as ludicrous and racist. And clearly the goal in the European theater in World War II was to destroy Naziism in Germany, not to smoothe out its rough edges. If destroying Naziism was good enough for us in Germany, why is it not good enough for us here in the US? Howard Zinn once said, “If you don’t know history it is as if you were born yesterday.” Oregon’s history–indeed, the history of the US–is built upon racism, in particular, the belief that white people were ordained by god to own the land and do as they will with it. Acts born out of the institutions that nurtured this principle are part of a systemic continuum that Portland, Oregon–and the country–has yet to reckon with openly and honestly. Part of that reckoning has to do with the perspective we choose. Portland has a reputation of being a liberal city–a fair enough statement in many cases–and that reputation is burnished with glowing articles in national newspapers, as well as more humorously in Portlandia. But seen through the eyes of a person of color–a point of view that is studiously avoided–the picture is not so rosy. It is incumbent upon white people who understand the real dynamics of history to reach out to other white people and invite them to know and understand it too. Also imperative–if we are serious about destroying the institutions that promote white supremacy–is getting involved in dismantling this paradigm. 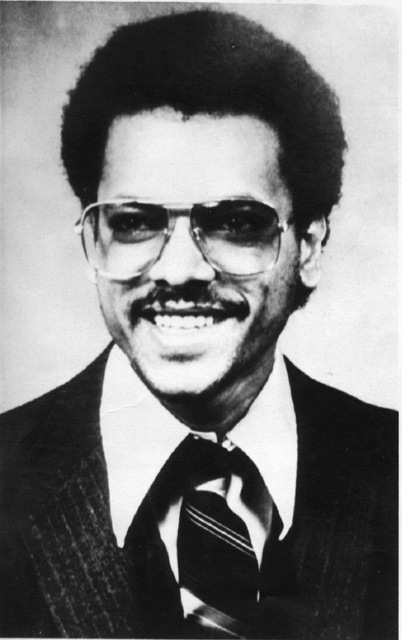 Twenty-five years after Mulugeta Seraw’s murder, many Portlanders still wonder how such a terrible crime could have happened here. After Monday night’s presentation, it is apparent the real question should be why we were–and remain–so shocked. Great, thoughtful article. Thank you. If I as a white person take my understanding of this violence no further than “shock,” it is as if I am denying my own conditioning to a supremacist view. My conditioning didn’t manifest in the ways Metzger’s did, so it allows me to put “all that” outside of myself, exclusively “over there,” in Metzger, as if contained. But it is not contained and as Kayse puts it, it is in fact “cradled” in our institutions that tolerate or even promote people within law enforcement who embrace white supremacy. 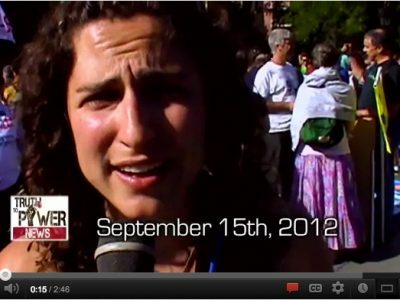 I couldn’t go to the Nov. 4 panel, but 2 days later I listened to Langer’s speech from years ago on KBOO. If we weren’t clear before that we all own this problem, we’re clear after listening to what she says she learned from the Metzger trial. In 1990, the Oregonian printed a moving photo of Mulugeta Seraw’s father and his son, that I framed and have kept in my living room ever since.. They are watching the trial. Their foreheads are touching. The caption reads: “Tekuneh and Henock, 9, the father and son of Mulugeta Seraw, listen to arguments in the trial of Tom Metzger.” This black and white photo says more than words ever can of the pain, loss, grief, and fear—generation after generation–that supremacy perpetuates. It’s obvious that we can’t just blame Metzger, or blame the police who shot and killed Keaton Otis, Jahar Perez, Aaron Campbell, and Kendra James–then feel outrage, and be done with it. Yet, that is in fact the place that we flee to, most of the time. Thank you Walidah for sharing this on Facebook. I read an article about Keaton Otis that presented the facts of his traffic violations, the stolen gun he reached for and fired, and his mother’s efforts to commit him. But I also understand that if he had been white, the police would not have stopped him. And that is the problem with officers making decisions based on hoodies and color.